The Phoenix Suns snapped an 18-game losing streak against the Warriors on Sunday night. 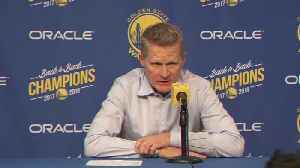 "They beat the crap out of us," Steve Kerr said following the 115-111 loss. "It wasn't pretty. Probably the worst..